On some of our items, we will only have one size listed. That is the size we currently have in stock and once that is sold, that item will be sold out. Other items will have written in the description, “Contact Us for Availability of Sizes.” This means that prior to making any purchase, you will need to call or email us to see what sizes we have available. Please include in the email the exact name of the garment along with the SKU if one is available in the description. Once you’ve confirmed with us that your size is available, you can add the item to your cart and continue with the checkout process (we ask that you please confirm the size you are ordering in a note with payment). Please don’t hesitate to contact us with any additional questions or clarification. Thank you! What is the cost of shipping and returns? Domestic Shipping is always free. Your satisfaction and fit are guaranteed. We offer free returns for all our products. Contact us within 7 days of delivery of your purchase, and we will send you a return label or otherwise instruct you how to return the item. Contact us for pricing on international shipping and returns. The quality of a fur is determined by the quality of the design, the pelts and the workmanship. The pelts must be well matched, light weight, supple and even in sheen. The workmanship must create even sewed seams and good matching. No. 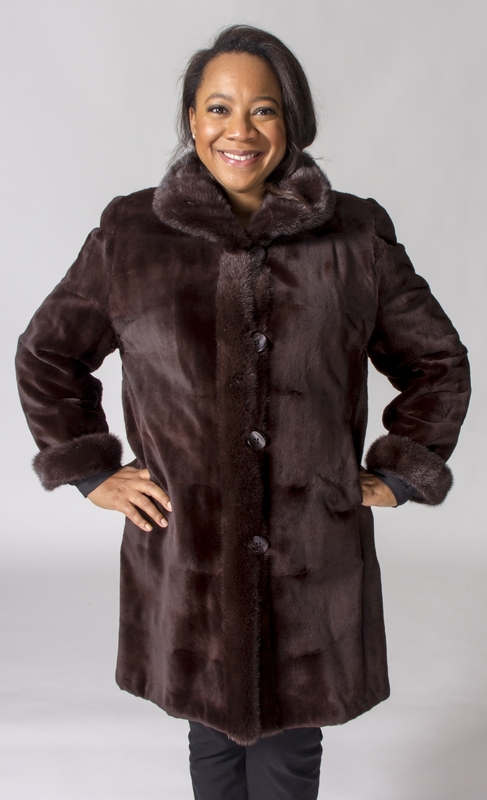 A fur that has been dyed will keep its softness and luster. Dyeing a fur is an option that many of today’s designers use to achieve color and style versatility that can only be achieved by dyeing the pelts. A mild rain will not ruin your fur. Just hang the garment up to dry in a well-ventilated room away from direct heat. After it is dry, give the fur a vigorous shake. If your fur gets thoroughly soaked, bring it to a professional furrier for proper treatment. Shearling is natural lamb skin with the fur worn on the inside and the suede leather side on the outside. 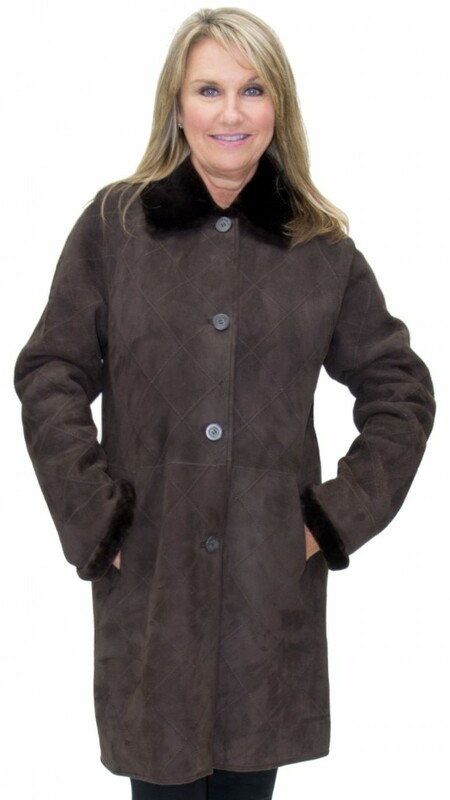 Many of today’s designers use shearling for sporty styles and a more casual look. Depending on the condition of the leather and fur, the garment can be updated and restyled. There are other options that include adding fabrics such as leather, microfiber, or knits. 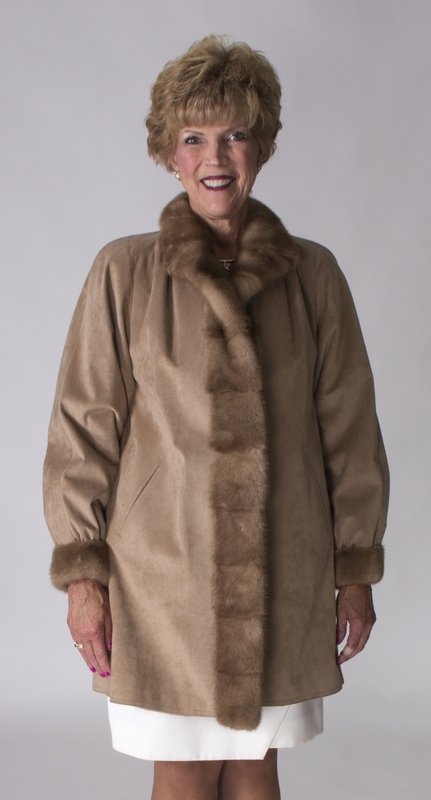 Or, the fur can be used to trim a sweater or cloth coat. We also can use your fur coat to make fur teddy bears and pillows (there are examples in the store and on this site), scarves, earmuffs, muffs, headbands, and hats. Again, this is dependent on the condition of the leather and fur. Coats that were not stored properly in the summer dry out and we are unable to alter the coat. Store your fur with a professional furrier in the spring each year. Have the furrier condition, clean and glaze the fur prior to storage. Your fur needs to be conditioned, cleaned and glazed, at least once a year, to prevent it from drying out. No. Homes with air conditioning generally have too much humidity which can dry out the pelts and cause the coat to start ripping. Once a pelt is dried out, repairs cannot be done on the holes as the pelt is no longer strong enough to be sewn back together. 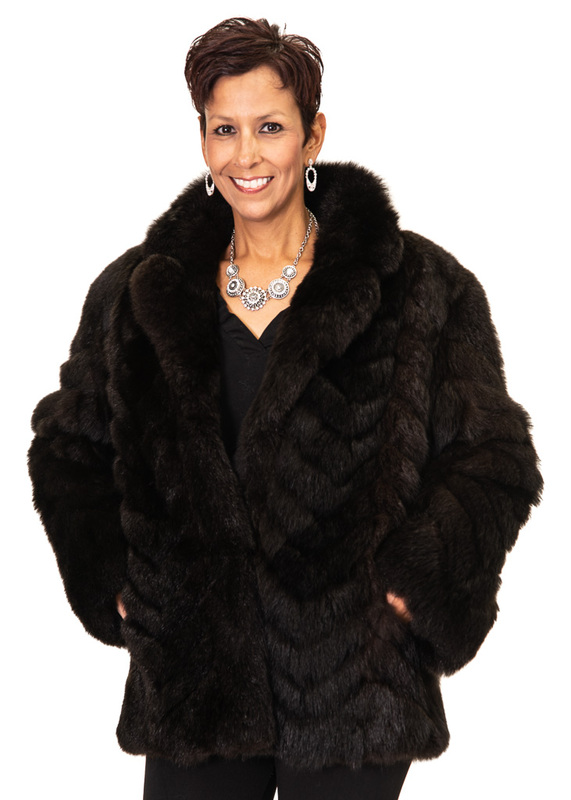 A well cared-for fur (one that is professionally stored every year) will last many years and hold up to alterations or updated restyling, if desired. Cedar closets and basements are also not recommended as they can infest the coat with moth balls and bugs, along with creating mold and mildew. Even if you did not wear the coat all winter, proper yearly summer maintenance of the coat will extend the beauty and life of the fur. We suggest bringing in your coats for storage around Mother’s Day and picking them up after Halloween. How do I store my coat in the summer if there is no professional furrier in my area? Our customers span the U.S. Many ship their coats to us for summer storage, conditioning, cleaning, and glazing. Contact us for further information. Where do you send the coats to be cleaned and stored? Once we have your coat(s), they never leave our building. All conditioning, cleaning, glazing and repairs along with the storage of your coats in professional temperature controlled sealed vaults happen right within our store. Your coats remain safe and in good hands at all times. Bring the fur to a professional furrier for a written appraisal. Give this appraisal to your insurance company so that the fur can be listed on a separate rider on your home owners’ insurance policy. Ask your insurance agent for advice and details. Do you buy used coats? No, we do not buy used coats. We recommend selling them on eBay. 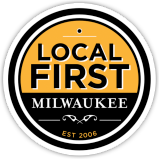 If you live in the Milwaukee area, you can stop in our store, during normal business hours, and ask to speak with the furrier, who will provide you with a verbal appraisal of the value and a detailed description of the coat to use in the listing. We offer this service free of charge; appointments are not necessary. Do you sell used coats? Are prices for new merchandise listed on your eBay site identical to prices on your website or in-store pricing? In keeping with our pledge of putting our customers first, oftentimes the coats listed on eBay that are not pre-owned, may, occasionally, be less expensive on our Website or in-store. If you see something you like on eBay that is labelled New With Tags, please check the website inventory or contact us via the website to find out our in-store sale pricing, and we will consider making the sale directly off eBay. Again, use the contact form on this website with a link to the eBay item you are interested in. If you contact us through ebay, we are unable to offer you a cheaper price by setting up the sale off eBay as one of our own customers (per ebay rules). Is all of your inventory listed online? No, our store inventory is far too extensive to completely list online. Also, in season, additional styles and sizes may be directly available from our wholesale sources. If you interested in a particular coat or style, we encourage you to stop in our store or contact us via email or phone, with a picture or detailed description of the item. 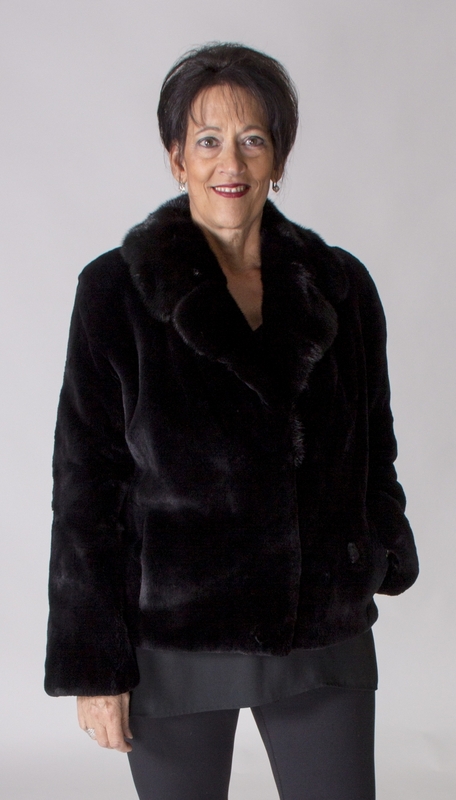 Our furrier or sales associates will gladly help you find the coat of your dreams.